Chief Justice David Gilbertson announced today the appointment of the Honorable Bobbi Rank as Presiding Judge for the Sixth Judicial Circuit effective June 8, 2019. Judge Rank’s selection will follow the retirement of the Honorable John Brown. The Sixth Judicial Circuit consists of Bennett, Gregory, Haakon, Hughes, Hyde, Jackson, Jones, Lyman, Mellette, Potter, Stanley, Sully, Tripp and Todd counties. Judge Rank has served as a circuit court judge in the Sixth Judicial Circuit since her appointment by the Honorable Dennis Daugaard in October of 2016. She was formerly engaged in the private practice of law, served as an assistant attorney general and was legal counsel for the Department of Education. Pursuant to Article V, Section 11 of the South Dakota Constitution, Presiding Judges are appointed by the Chief Justice and serve at his pleasure. The Presiding Judges are administrative heads of their respective circuits. 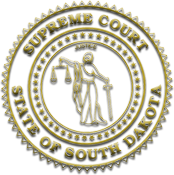 The Chief Justice expressed his appreciation for Judge Rank’s willingness to serve the Unified Judicial System and people of South Dakota in this manner.